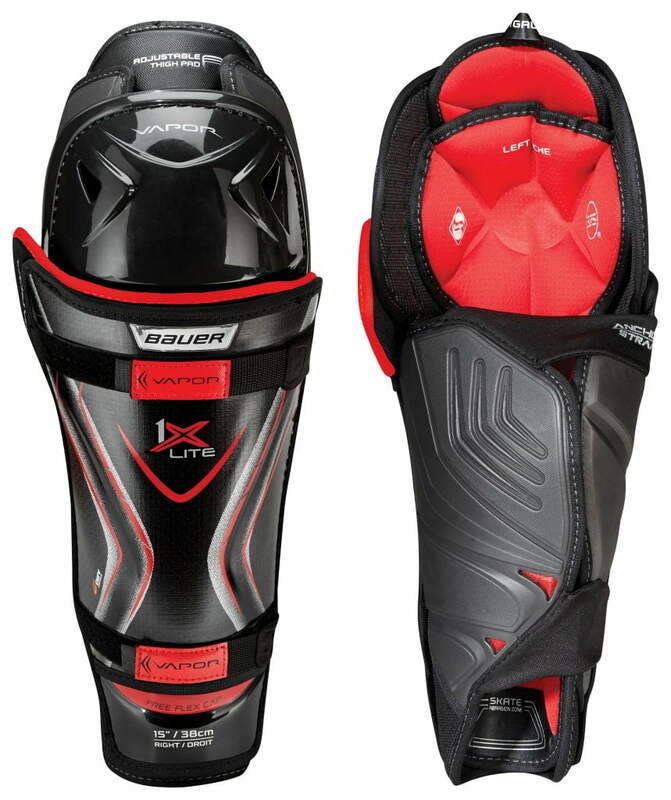 Bauer Vapor 1X Lite Senior Hockey Shin Guards | Sports Etc. The Bauer Vapor 1X Lite shin pads are designed with Curv Composite for superior protection and incredibly lightweight feel. Tapered for a snug all around fit. Overall weight reductions of 25% from the previous 1X shin pad. Sports Etc Performance To Value Rating– 9 out of 10. Excellent shin pad. High-end protection and incredibly lightweight feel.